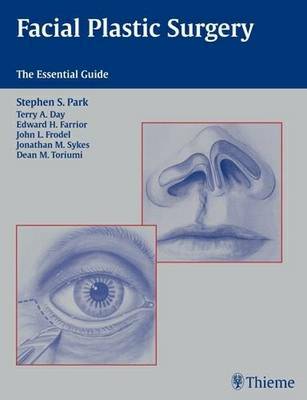 This is a book that condenses the large field of facial plastic and reconstructive surgery into a single, readable book that covers the critical information needed by all students, residents and fellows. The recently graduated physician will also find this reference invaluable in terms of grasping a quick overview of some of the common problems encountered in a young practice. The contributors are six leading facial plastic surgeons from across the country, each with over ten years of clinical experience in their specific topic. This book defers from many of the major text books currently in the market in that it is a concise book that focuses more on a fundamental core of information rather than a surgical atlas. The text is divided into six logical sections which cover the full spectrum of facial plastic surgery. Congenital anomalies of the face and neck is the introductory chapter, addressing such disorders as clefts, microtia, and syndromes. Facial cosmetic surgery is divided into aging face surgery and rhinoplasty. The reconstructive topic is separated into major head and neck repair, including microvascular flaps, and cutaneous surgery, with a discussion of skin lesions and their management. The trauma section covers soft tissue and bony injuries of the head and neck.